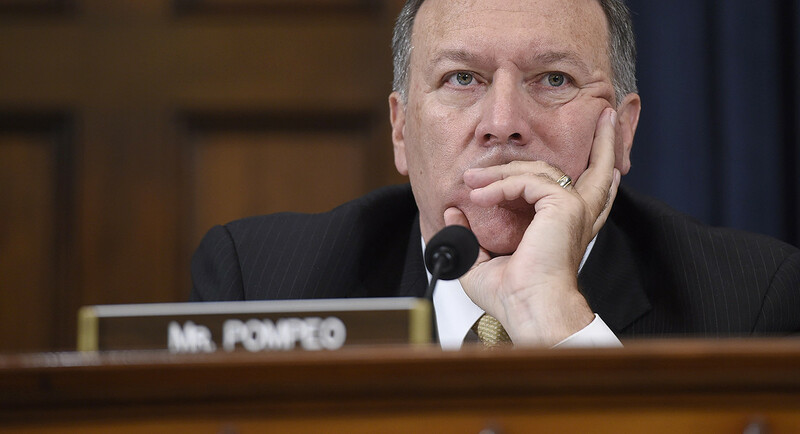 Washington, DC – Representative Mike Pompeo (R-KS), who has been at the center of highly politicized efforts to oppose the Iran deal while serving in the House, attempted to sing a much different tune when testifying before the Senate this week on his nomination to head the Central Intelligence Agency. Pompeo, who in the past had teamed with Senator Tom Cotton (R-AR) to spread allegations of “secret side deals” with Iran and downplayed the costs of military action, appeared eager to paper over any differences with members of the Senate Intelligence Committee. Senator Dianne Feinstein (D-CA) pressed Pompeo on his previously unrelenting criticism of the Iran agreement. Under the deal, she highlighted that “Iran has shipped some 25,000 pounds of enriched uranium out of the country, it’s dismantled and removed two-thirds of its centrifuges, it’s removed the calandria from its heavy water reactor and filled it with concrete, and it’s provided unprecedented access to its nuclear facilities and supply chain. Iran’s estimated breakout time has moved from 2-3 months to a year or more,” she said. Feinstein noted that, despite this, in November Pompeo stated that he “can’t think of a single good thing that’s come from the Iran nuclear deal, not one,” noting the importance of the CIA’s analysis on Iran’s compliance and asked him to comment. Pompeo backtracked, saying that his comments were referring to what he saw as Iran’s “rampage” of disruptive regional activities in 2016, specifically citing its continued support of Houthi rebels in Yemen and continued imprisonment of Americans. But Pompeo said that “you have my commitment that we, if I’m confirmed at the agency, we’ll continue to evaluate their compliance with the agreement in the way that you’ve just described the agency has been doing to date,” citing the importance of good intelligence to inform policymakers’ decisions on the issue. He said that he did initially think the deal was “a mistake for American national security,” but said he now realized that the JCPOA was “the arrangement this President thought was in the best interest of America” and that as CIA Director he would work to “provide straight information” on implementation. Senator Susan Collins (R-ME) asked if Pompeo considered it a priority to assess whether Iran was using its civilian fleets to transfer arms to terrorist groups in the region. He responded by telling Senator Collins that he shared her concerns regarding Iran Air and Mahan Air and would gladly share his knowledge on the question during the committee’s closed hearing session. Senator Collins then asked if Pompeo considered the monitoring and verification regime of the JCPOA to be adequate in ensuring full compliance with the agreement and if he thought the IAEA has sufficient access to detect potential Iranian cheating.